Visions of Jesus Christ.com - Amália Aguirre - Stigmatist. 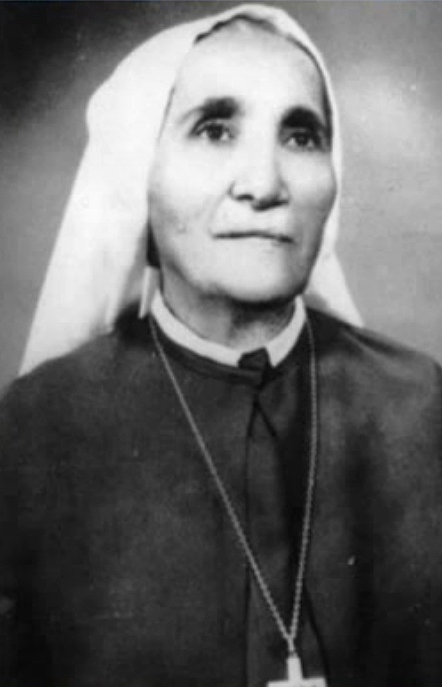 Above images are of Amália Aguirre. On November 8, 1929, a relative of Sister Amalia approached her in need of help. His wife was terminally ill and his family in great distress. According to doctors, his spouse’s condition was incurable. 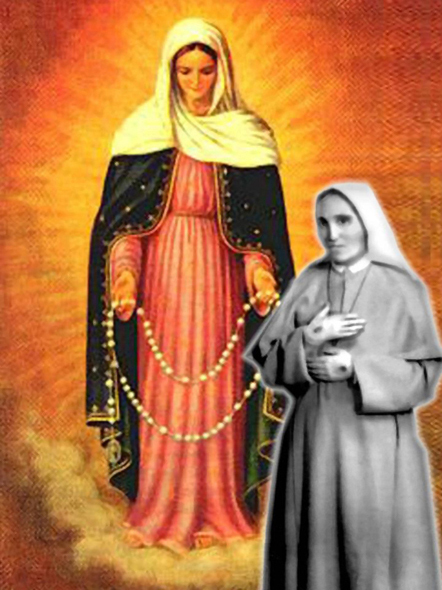 Not knowing what to do or what God expected of him, he turned to Sister Amalia, his last hope. Sister Amalia was compelled to help in any way possible and turned to our Divine Savior. Sister Amalia entered the house of God and knelt down before the steps of the altar. Facing the tabernacle, she extended her arms towards Jesus and asked, "If there is no hope for the wife of T..., then I am ready to offer my life for the mother of the family. What do you want me to do?" Jesus answered, "If you want to receive these favors, ask me for the sake of My Mother's tears." Sister Amalia asked further, "How must I pray?" In answering, Jesus gave her the following invocations: "Oh Jesus, listen to our prayers for the sake of the tears of Your most holy Mother! Oh Jesus, look upon the tears of the one who loved You most on earth and loves You most ardently in heaven!" Finally, Jesus added, "My daughter, whatever people will beg Me for the sake of the tears of My Mother, I shall lovingly grant them. Later, My Mother will hand over this treasure to our beloved Institute as a Magnet of mercy." This took place on November 8, 1929. Exactly four months from this date, Jesus fulfilled his promise to Sister Amalia. As the prophecy foretold, the Blessed Virgin Mary bestowed this treasure to heaven’s beloved Institute. The following is Sister Amalia’s own recollection of what took place. It was March 8, 1930. I was in the chapel kneeling on the steps of the altar, as I suddenly felt myself being lifted up. Then I saw a woman of unspeakable beauty approaching me. She wore a violet robe, blue mantle, and a white veil draped over her shoulders. Smiling, she floated in the air towards me, holding a rosary in her hands, which she herself called "corona" (i.e. circle and means rosary). Its beads shined like the sun and were as white as snow. Handing me this rosary she said to me, "This is the rosary of my tears, which is being entrusted by my Son to His beloved Institute as a portion of His inheritance. The invocations were already given by my Son. My Son wants to honor me in a special way through these invocations, and so, He will grant all graces that are asked for the sake of my tears.This rosary will provide for the conversion of many sinners. To the Institute of the Crucified Jesus is reserved a special honor, that is the conversion of many members of a wicked sect to the blooming tree of the Church. Through this rosary the devil will be conquered and the power of hell will be destroyed. Get ready for this great battle." When our Blessed Mother Mary had finished speaking, she disappeared. When our hearts are filled with sorrow and suffering, we turn our thoughts to God. We are able to soften the heart of God, through his most holy mother’s tears, even though it is ever ready to grant us bountiful graces and blessings. "At the present, so it seems to us, the blessed tears of the Mother of Jesus are especially powerful to win the heart of God." – Msgr. Count Franciscus von Campos Barreto, Bishop of Campinas.